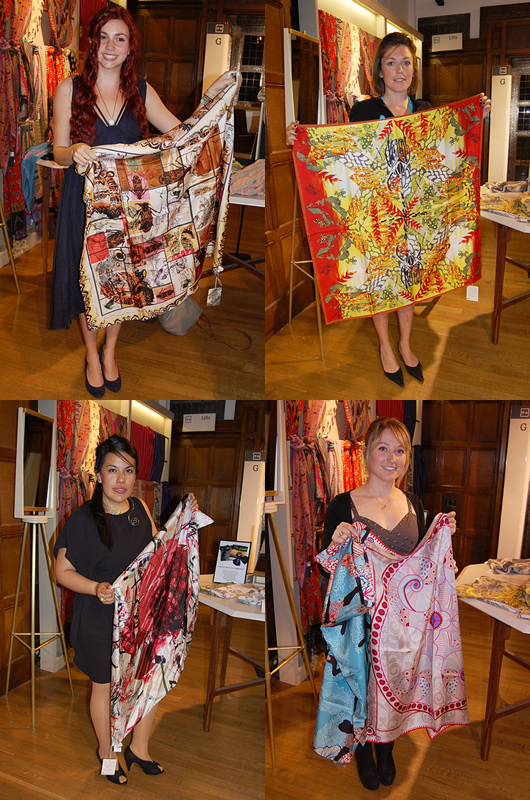 Liberty’s launch party of “Save it with a Scarf” created great excitement in London’s world-famous department store on 10 May 2011, raising funds and awareness for World Land Trust (WLT) conservation projects across the globe. The five exclusive scarf designs were created by four students from The Winchester School of Art, to represent and raise funds for WLT’s conservation projects that are in urgent need of support. The designs were chosen from 50 entries submitted by final year students by a panel of judges, which included Tammy Tinker (Fashion Assistant at Vogue), Alexandra Stylianidis (Liberty Accessories Buyer), Michael Lewis (Shoe Designer), Bruce Pearson (Wildlife Artist and WLT Trustee), and Dominic Jones (Jewellery Designer and WLT Ambassador). Among the famous-faces to show their support at the event were TV presenter Cat Deeley, model and DJ Bip Ling, and actress Jamie Winstone. On the night, the four winning designers – Lollie Dunbar, Evelyn Males Echeverria, Freya Perrett, and Pheobe Farrell – were delighted to see their printed designs for the first time. Lollie said: “It is simply surreal to see Lily Cole modelling my design and I’m amazed that I’m actually here.” The scarves went on sale in Liberty’s renowned Scarf Hall on 10 May 2011. They are printed on silk and cost £115, with 15 per cent from the sale of each scarf going towards the represented project area.